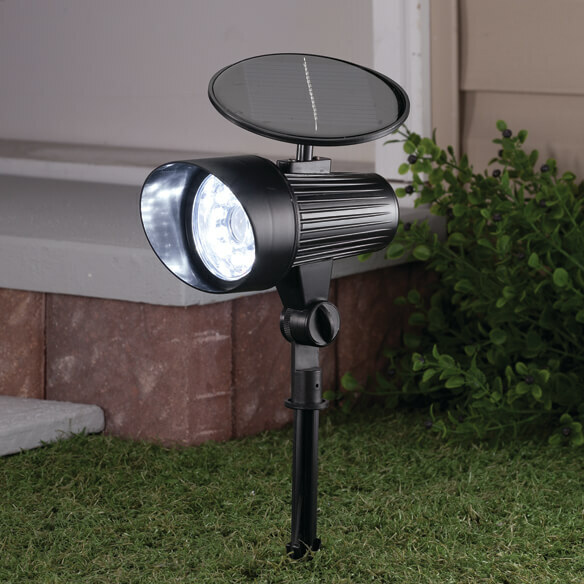 When you want extra security but don't have electricity (or a huge budget), this solar LED security light offers reliable, affordable peace of mind. By day, its built-in solar panel absorbs the sun's rays so at night, the light activates for one minute when motion is detected—helping deter potential burglars or trespassers. Red blinking light flashes to mimic real security cameras. No complicated wiring or installation. 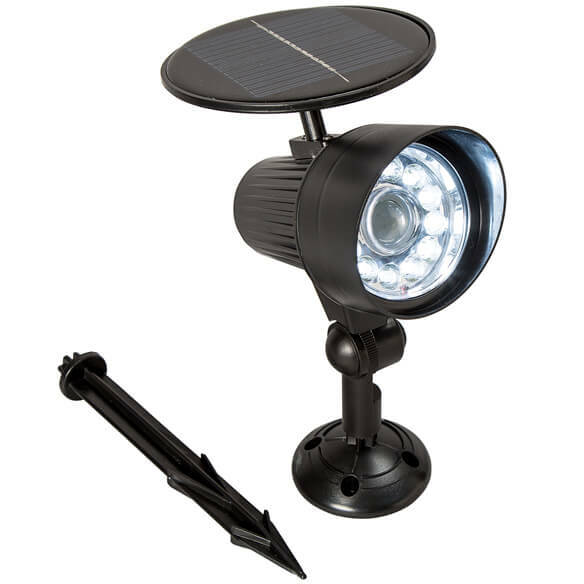 Motion light includes ground stake and hardware for easy mounting, powering best in direct sunlight. Includes dusk/dawn sensor that activates light only at night. LED light requires 4 solar batteries (included). 8"L x 6 1/2"W x 3"H.
bought the first one, and it works great, very bright, but then the second one didn't work, so they replaced it, three times, at no charge to me,, but the others didn't work...The case is sealed, so there was no replacing a battery, which I suspect is the problem, the solar batteries have died, but since they cannot be replaced, this makes them good for a year at best. Certainly would never buy again. This light has never come on. Period. It's mounted on my fence for best solar light and has never worked. It does have the red light on. What a waste of money and time getting a friend to do this for me...not to mention paying him for it. Truly shouldn't even have 1 star. Need the lights in my yard. I have a bunch of these around my house. They have a flashing red light and a motion sensor that lights up the bright light so I do not use the porch lights/back yard lights anymore and if any one comes in the yard the stay lit for a few. I got 2 last week and they work great. I just ordered 3 more> I will have them around my house. Walk by and they light up. Will save me electricity iI will not have to turn the outside light on at night anymore.